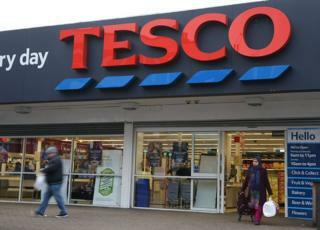 Unions are calling for urgent talks with Tesco amid fears that the supermarket could cut 15,000 jobs. Unite’s national officer for retail distribution, Adrian Jones, said this was a “worrying time” for members, while Usdaw said it was “distressing”. Tesco has told staff in an internal memo that restructuring was “still being finalised” after the Mail on Sunday reported that jobs could go. Reports say this could include closing some fresh food counters and bakeries. Tesco is the UK’s biggest grocery chain and employs 324,000 in the UK and Ireland. It is trying to save £1.5bn. Mr Jones said: “What is required very quickly from Tesco is clarity on its intentions going forward. “While the reports centre on job losses in store, such as the bakeries and deli counters, we still need to know what this could mean for our members,” he added. Unite represents around 1,000 workers in four Tesco distribution centres. The main union representing Tesco staff, Usdaw, said the reports of job cuts were “distressing” for staff. The chain’s chief operating officer Tony Hogett wrote to staff on Sunday to say that the “changes are still being finalised”. Usdaw has also said it is seeking an urgent meeting with the company to clarify the situation. Analysts at financial firm Bernstein said that 15,000 jobs cuts – if that proved to the number – was the equivalent of around 20 staff per store. This would amount to £250m of cost savings if it was full-time rather than part-time workers, the analysts said. While expressing caution about the actual number of jobs that might go, they said: “The obvious question will be whether that will impact Tesco’s quality perception and customer loyalty”. “Presumably Tesco will have strong evidence from trials about what such a move does to customer behaviour,” the Bernstein analysts said.